A little more preserving happening here today. 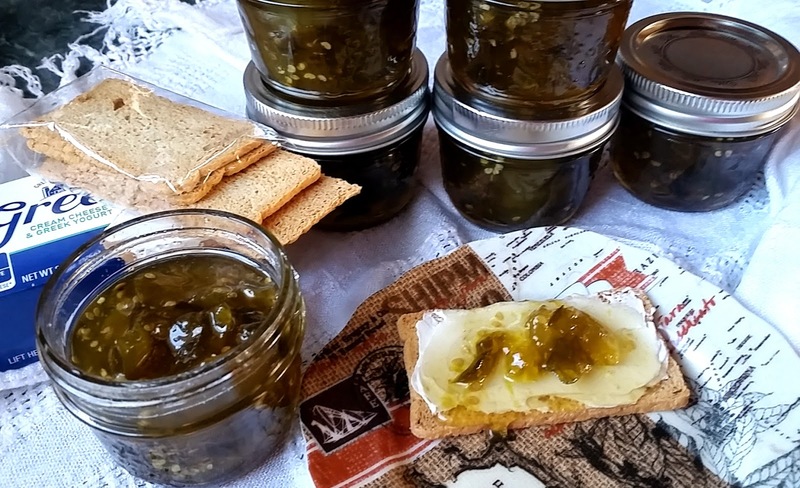 Not all the tomatoes ripened in the garden this year so I decided to make green tomato jam. A nice little appetizer or snack. Spread cream cheese on a cracker and add a little of the jam on top. If you like more heat add more jalapeno. This jam tastes great on toast too. Chop tomatoes, mince pepper, and put both in a large pot. Add sugar, lemon juice, and lemon zest. Bring to boil over medium heat, stirring occasionally. 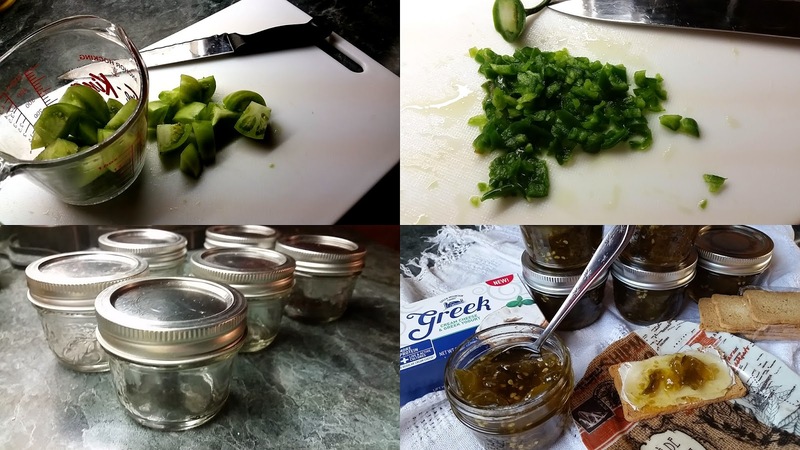 Pour jam into sterilized jars and seal. Yield: 6 half cup jars. How great and timely! I have some on the vine right now and they don't seem to want to ripen. Thank you! This looks so good. Makes me wish I had some green tomatoes, but mine all ripened this year. Hallo! ohhh wie delicious.Gruss aus Germany.Luciene.